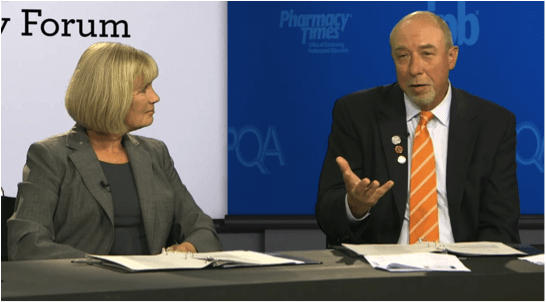 On Thursday August 13th, we produced a green screen, live-keyed streaming event for our client, Intellisphere’s Pharmacy Times publication. Intellisphere disseminates relevant content on healthcare technology and clinical research. 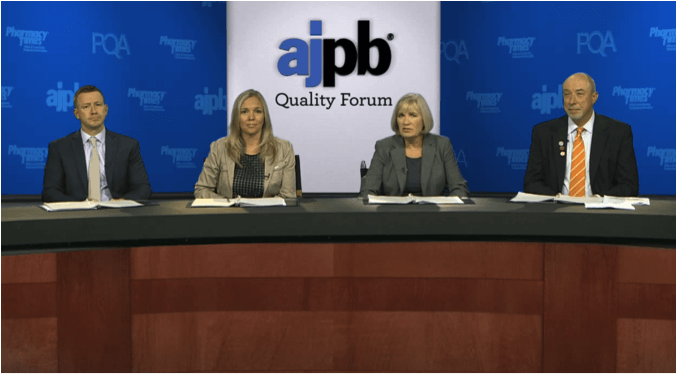 We moved our production to Baltimore for the livestream where we shot a panel consisting of pharmacists, doctors, and scientists discussing cardio vascular health. Our crew arrived the night before to prepare ourselves for the next day. We had a crew of three camera operators, a producer/director, and an associate producer. 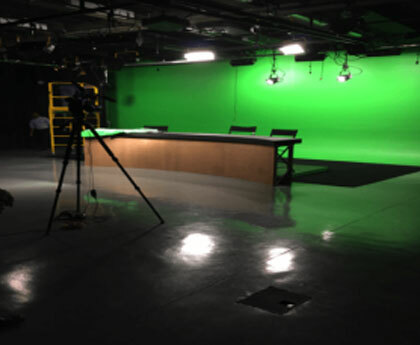 In the morning, we arrived at Baltimore Studios, located in the heart of downtown Baltimore. The studio was quite impressive with over 2100 sq. 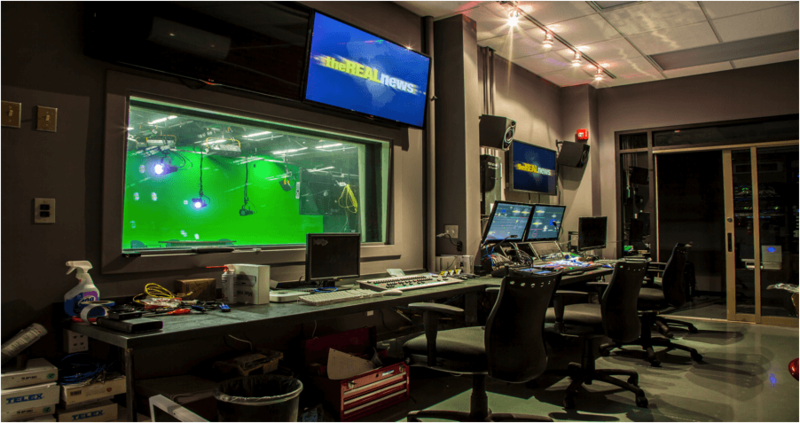 ft. of space, including a 48-foot green screen wall and a state of the art control room. We found a local company and had them create a custom news desk for our set to match the look of previous Pharmacy Times productions. 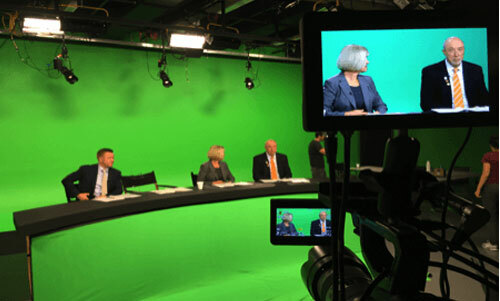 We hired a local makeup artist and caterer and used studio personnel for audio and the Tricaster –D8000 system. Once the desk was in place, we had to make sure the green wall behind our subjects was evenly lit. In front of our subjects, we spaced out four kino-flos’ and mounted them from the ceiling to give each of our subjects a nice clean key light. We also set up four Lekos’ behind each person to provide a nice soft back/hair light. When working with greenscreen, you want to use a lot of back light to help separate your subjects from the green background. 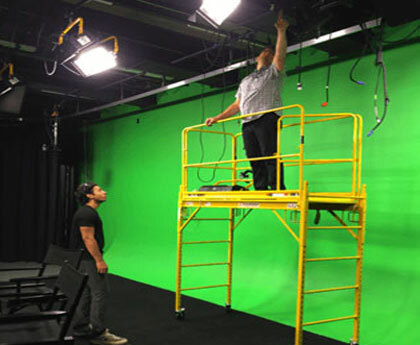 As the day was progressing, ASL worked with Intellisphere and Baltimore Studios to prepare the production as much as possible before the doctors arrived. One of the most important steps with any livestream is to test your bandwidth/streaming speed early and often. Despite having super fast bandwidth with upload speeds approaching 100mb per second, it appeared to be playing a little sluggish. We tried adjusting the cameras settings, having them send out a 35MB image instead of 50MB and tried altering our Tri-caster settings in the hopes of a more fluid stream. Unfortunately, our tests were not yielding the results of a 720P stream that we would have liked. We were anticipating almost 1000 people tuning in which might affect the connection. Therefore, we decided to play it safe and stream at 480 with medium bandwidth. The doctors arrived at the studio around 3:00pm for a 4:00pm rehearsal to go live at 7:00pm. First things first, we had to get the doctors in make-up. Our make-up artist was on set, ready to go as soon as our talent was on location. While the doctors were getting their make-up prepared and settling in, we were finishing the control room prep. Once our talent was camera ready, in their places, and the crew was in theirs, we were ready to set our plates. Each angle needed to have a background look that matched our wide shot. We needed to adjust the backgrounds and set looks for a 2-shot or an iso of one person. The Tricaster-D8000 is an amazing tool and not only were we able to set our plate looks quickly, we also used it to color correct each angle to make sure the look was consistent across all three cameras. The clock was ticking down to 7:00pm and we were on edge; ready to put forth our best effort. It’s interesting to watch how people rise to the occasion when the bright lights get turned on. The moderator, who was also a doctor, was on time with her cues and transitioned into the discussion with ease. The other doctors may have been a bit stiff during their introductions, but once they got involved and talking about cardio vascular health, they seemed to be at home and spoke on topic comfortably. Early on in the livestream, there was an audio issue with one of the panelist’s microphone. A frequency issue was causing pops and distortion at random moments while he spoke. We were prepared for this by having two mics situated near each panelist, with the backup mic muted. You don’t want to switch mics while the person is speaking, as the difference could be noticeable. Unfortunately for us, the panelist was in the midst of speaking for about five minutes and as soon as he stopped speaking, we switched to the to the backup mic. No more audio issues occurred for the remaining hour of the live-stream. Our livestream with Intellisphere and Baltimore Studios was an exciting and challenging project. There was nothing like that adrenaline rush and excitement of a live production. Although there are always areas we feel we can improve upon, a livestreaming green screen production is quite a daunting task. However, in the end, our client was very pleased and satisfied with the outcome.